Arundel is the home of the AB Paterson Private Primary & Secondary School. 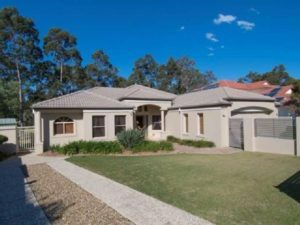 Arundel is also quite close to the Gold Coast University Hospital, The Gold Coast Private Hospital, Griffith University, The Athletes Village for the 2018 Commonwealths Games and Harbour Town shopping Centre. Arundel is just a short trip from the new light rail stage 2 in Parkwood, providing connectivity to the heavy rail to Brisbane. Also located in Arundel is the beautiful Arundel Hills Country Club and Golf Course. We specialised in pre-purchase building and pest inspections in the Arundel and surrounding areas. Both of our building and pest inspectors are experts in their own fields, with years of experience and knowledge behind them. They know the Arundel area particularly well. You are welcome to join them during your inspections and your inspectors will discuss their findings with you while you are all still at the Arundel property. Being independent of outside influences allows us to protect only your interests when purchasing your Arundel property. We will not discuss anything from the inspections with agents, property owners or property managers without you giving prior permission for us to so. View reviews and comments received from our other Arundel customers! Thank you for your time yesterday and sending through the report so promptly. We are both very happy with how thorough you were and you will be highly recommended to our friends and family for future use. Thank you for your efficient service and all the helpful information. Nice meeting you. I would like to pass on my thanks to you for the work you did today for me. You were certainly Professional in the way you presented your reporting to us and it was certainly explained in a manner that was understanding on my part. Thanks again, greatly appreciate your support.